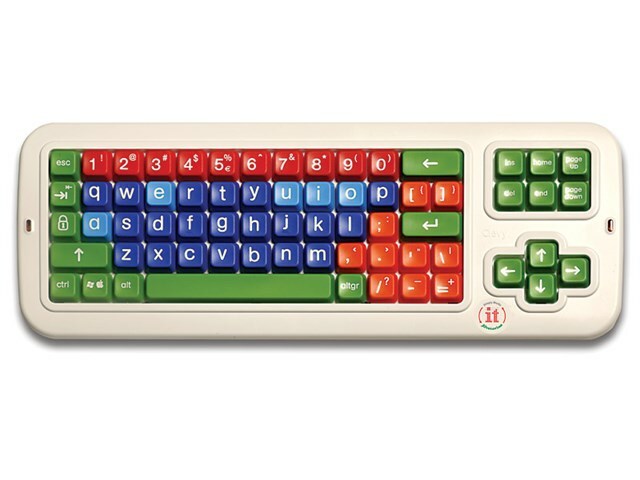 A tough wireless keyboard which is clear and child friendly with large keys and lowercase letters. The simple layout and colour coding makes it easy to find the keys: blue for letters, red for numbers and so on. A clear plastic keyguard is also available which clips firmly into place and is easily removed. Works directly with the it-Receive. 10 metre operating range. It’s easy to get started with this great value bundle. Buy the it-Keys and it-Receive for only £129.